Yu Morisawa, the main character of this story is just an ordinary girl. One day, she is given a magic cane by people from Feather Star, the land of magic. She is given the right to use this cane for one year and to have magical powers during this time. Yu changes into Creamy Mami with the help of the magic fairies Posi and Nega. Creamy Mami meets the son of the president of a show business production firm. The boy's name is Shingo Tachibana. Shingo plays a harmless joke on Creamy Mami and she ends up singing on television. The audience are enthralled. But by this time Creamy is back to being plain Yu. "Find that girl!" 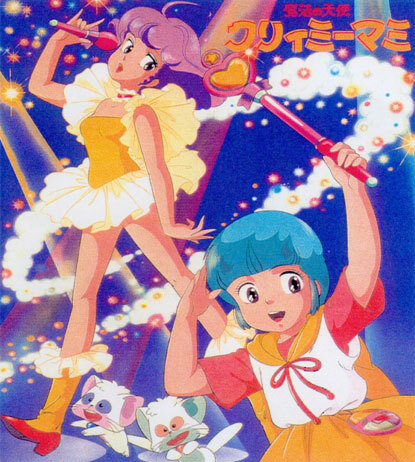 Tachibana decides to have Creamy Mami debut from his production. So it comes to pass that Creamy Mami enters the show business world. © Studio Pierrot Co., Ltd. Illustration by Akemi Takada. Licensed through Animation Int'l and OCS.